The artist Vadim Kovalev was born in 1968 in the capital of Latvia, Riga, where he is also presently living and creating his works. In 1979 he began studies at the Riga Art School. 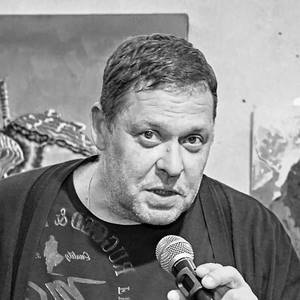 In 1986, Vadim graduated from the Art School, and then he was enrolled at the State Art Academy of Latvia, at the Faculty of Graphic. In 1994, he successfully defended his thesis. From 5.27.2015 to 06.19.2015 in Riga, at the Art Gallery of Rietumu Bank, there was a personal exhibition of Latvian artist Vadim Kovalev ,,Collection Ag 47,, . 01.03.2017 in Berlin ,,RCC,, gallery, ,,Contrasts,,. 01.07.2017 in Riga ,,Happy Art Museum,, ,,Contrasts,,.